When Charlotte Markham suddenly finds herself a young widow, she takes a job as the governess at the Everton house for the Darrow family. Here she is to care for and educate Mr Darrow’s two young boys who have recently lost their mother to illness. One evening a scream wakes the inhabitants of Everton house and the children’s nanny is brutally murdered by an unknown ‘man in black.’ Charlotte’s life is once again touched by death and the image of the same man she has seen at her mother’s, father’s and husband’s death. Mr Darrow quickly takes on Charlotte to replace the boy’s nanny and as she learns more about them, she realises how distraught they still are over their mother’s death. While discussing dreams, one of the children draws a map to a place that he dreamt his mother is still alive and waiting for them. To stop the possibility of the children running off into the woods on their own one night, Charlotte agrees to a little adventure. Never could she have dreamt that the map would actually lead them to a place where things cannot die, known as The Ending. There the boy’s mother is kept somewhere between life and death. They are obviously ecstatic but Charlotte is unsure. Why has Mrs Darrow been chosen to come back and no one she loves has and who is the man who owns the house known as The House of Darkling? 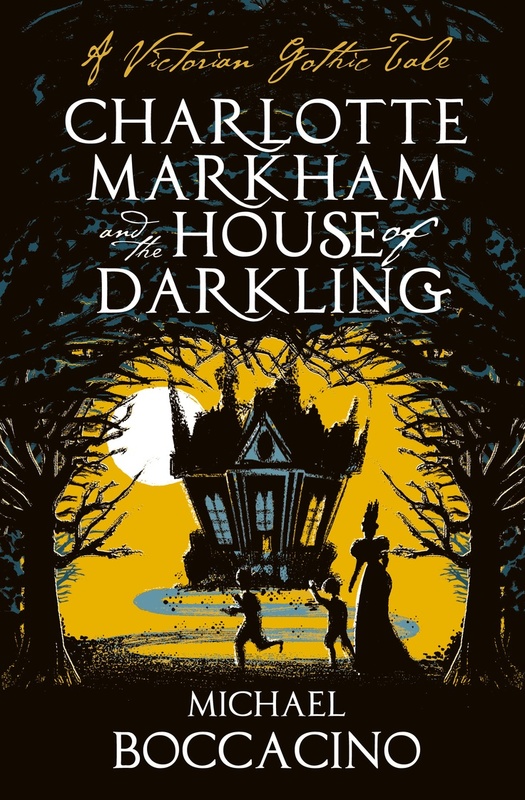 Charlotte Markham and the House of Darkling is a beautifully written Victoriana style, fantasy story. With hints of A Woman in Black and a touch of Tim Burton darkness. Boccacino creates a fabulous image of a house full of both beauty and darkness, of wonder and threat. Although this novel is full of great imagination, something left me wanting and that was Charlotte Markham herself. For a character thrown into an amazing new world full of wondrous creatures and happenings, a strong sense of amazement or even fear is never really conveyed. She is meant to be a forward-thinking Victorian lady but I am not sure even a modern day powerhouse of a women would be left shaken to the core by meeting a dead woman, whereas she just seems to mull over the question if it’s OK for the children. Apart from the slight lack of depth in the main character, I did still really enjoy this novel and would recommend it to anyone who is a fan of dark, gothic style and other books such as Miss Peregrine’s Home for Peculiar Children.